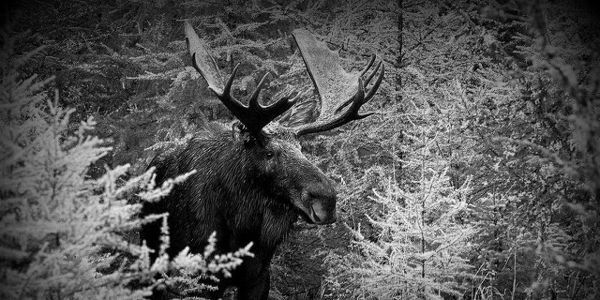 Help Protect the Andersoni Moose! "If we don't protect them, moose could be lost forever from the North Woods." That's the grim assessment from Collete Adkins, Biologist at the Center for Biological Diversity in Minnesota, where the Andersoni Moose population is declining at a truly shocking rate. During a ten year period there has been a 60 percent decline in the Andersoni Moose population. Every year, the number of hunting licenses increases and overhunting in North Dakota is posing an ever greater threat to this unique moose. This year alone, the Game and Fish Department has issued 70 more licenses than last year, bringing the total to 202 licenses issued for hunting this moose. The Andersoni Moose is in danger and needs your help. Please sign to tell the U.S. Fish and Wildlife Service to protect this Moose! The Andersoni moose population is rapidly declining, and it's time the U.S. FWS protected these animals as an endangered species. In just ten years the population has declined 60%, and aside from climate change and habitat loss, humans pose a serious threat to the animal. Instead of protecting these vulnerable animals, North Dakota's Game and Fish department issued a record 202 moose-hunting licenses this year. As the Andersoni Moose faces multiple threats to it's existence, I strongly recommend that the U.S. Fish and Wildlife Service protect the animal as an endangered species!